Since she was 7 years old, Anna Ramirez, now 63, has been fishing with her family off the coast of Belize’s southernmost district – Toledo, but her gender has not stopped her from working just as hard as the men do while at sea. Her most challenging moments have involved braving the rough seas, even under the threat of hurricanes, to ensure they make it to shore safely. “It’s not easy. You have to be brave and willing to take chances – big chances too!” she said. “The same way a man could fish, you can. The same way they drive an engine, you could do it too. The same way they could throw a net, you could throw a net!” Anna says. “It’s the way they raised me,” she later explained. Mrs. Ramirez has 3 brothers and 7 sisters, and like her brothers—Carlos, Daniel, Eugenio—she took up fishing for a living. She is the daughter of Francisco Castellanos and Petrona Flores, who once lived on several islands off the coast of southern Belize, including Punta Ycacos, Punta Negra and Wilson Caye. 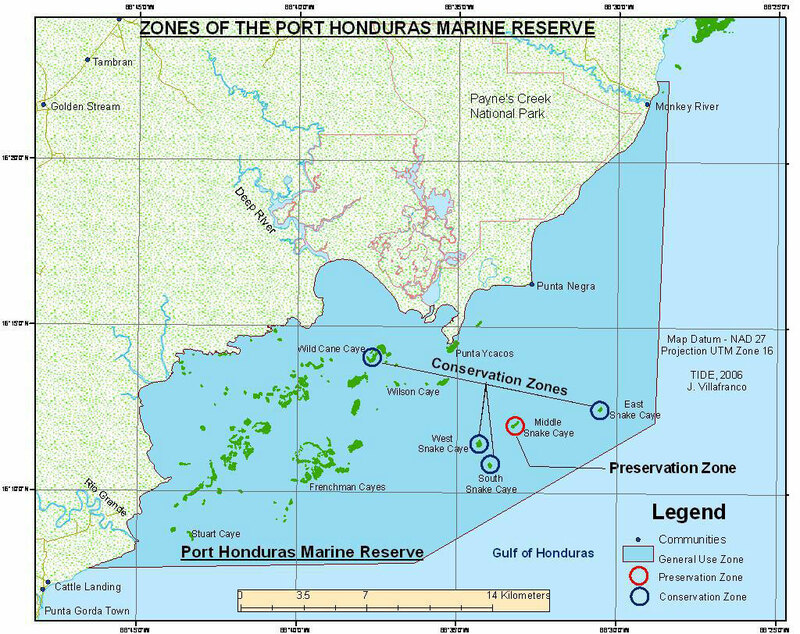 The area where they traditionally fished was declared the Port Honduras Marine Reserve Area in 2000, and today, the family says that the introduction of a managed access program there by the Belize Fisheries Department has notably helped to reduce illegal fishing in the area, thus improving their fish catch. Notably, Mrs. Ramirez was instrumental in the establishment of the reserve. Anna married Rafael Ramirez, who is also a fisher. They have, in turn, taught their children to fish and five of them are still active: Carlos, George, Roy, Armando, who is the chairman of the Rio Grande Fishermen’s Cooperative in Punta Gorda, and Anna, who is the secretary of the Toledo Fisherman Association and the president of the Toledo Dry Fruit women’s group. Genny, who does scuba diving with the Toledo Institute for Development and Environment – TIDE, does so to a lesser extent. Her other daughter, Claudio Olivarez, lives in Corozal in northern Belize and works as a teacher at a Seventh Day Adventist high school in Calcutta Village. Mrs. Ramirez said that her biggest reward is having been able to train her children, teaching them what she knows. “It is a very good feeling!” she said. 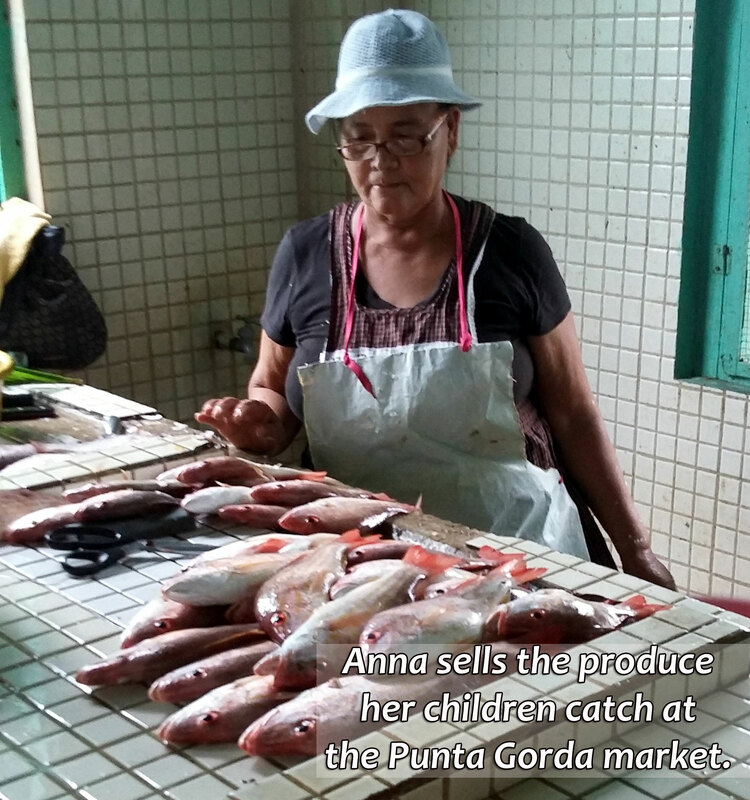 While the elder Anna no longer routinely fishes, most of her 9 children, including her namesake, still do, and she markets their produce at the Punta Gorda Town market in Toledo, on Mondays, Wednesdays and Fridays. She does not sell at the market on Saturdays, since she has observed the Sabbath for the past 35-40 years. She said that her fishing career has made her an independent woman, and she never fails to urge young people to learn the trade so that they too can become independent people. Although it is rare for a woman to choose a career as a fisher, gender is not the real reason why Anna Ramirez is deemed outstanding. It is her commitment and dedication to hard work, to encouraging the young people to take up the mantle—but moreover, to do so sustainably. It is for these reasons that she was chosen for special recognition as the winner of the “Punta Fuego Outstanding Fisher of the Year Award,” which was presented on the occasion of the first ever Fisherman’s Day festivities in Belize on Monday, June 29, 2015. 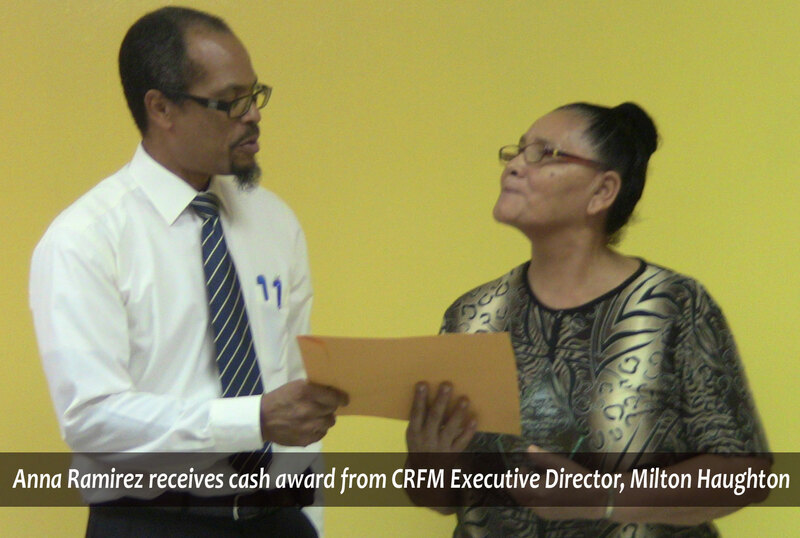 In addition to the Punta Fuego award, she received a cash award from the Caribbean Regional Fisheries Mechanism (CRFM), whose Executive Director, Milton Haughton, lauded Mrs. Ramirez, who now stands out as a role model for the entire Caribbean, for her milestone achievement. Punta Fuego, a drama which airs on Love FM, is also the name of a fictional coastal village in Belize, where Richie, a young fisherman, is put to the test when deceit and danger come to his village. Her sons dive for conch and lobster, but the family also catches a lot of finfish using drop lines or hand lines. Anna said that they don’t use nets anymore because of the regulations introduced to govern fishing at the reserve. She has taught her children to leave the small fish to live and catch the bigger ones. At the age of 34, the younger Anna is still fishing with her brothers and applying the wisdom her mother taught her. She fishes during the day and attends night school at Claver College Extension. She plans to attend the University of Belize afterwards to be qualified as a nurse, although she doesn’t plan to give up fishing. Her earnings from fishing are helping her to pay for her education. She may earn BZ$50 to BZ$100 a day, depending on what they catch and how much. The mother of 4 says that this is adequate for her to raise her family. The younger Anna Ramirez started fishing when she was 13 and she did that until she was 22. Her husband, a tour guide, wanted her to be a homemaker and so she quit fishing for 7 years, but today, Anna, who is now single, is back fishing with her brothers off the shores of Toledo, in the area of the Port Honduras Marine Reserve – the family’s traditional fishing grounds. 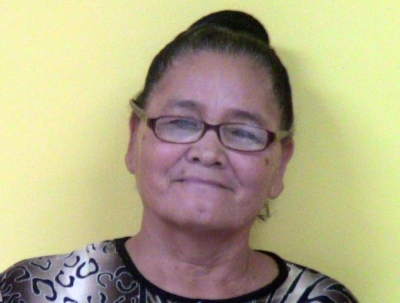 Her mother, Mrs. Anna Ramirez, said that she has 33 grandchildren, and those who live in the community also go out to sea, particularly during the summer vacation. Joash Ramirez, 13, her daughter Anna’s son, dives and gets a portion of the family’s earnings to help take care of his school expenses, his mother said, demonstrating how the fishing tradition has been passed down to the fourth generation in her family. While Mrs. Anna Ramirez is hopeful about the prospect of her grandchildren being able to earn a decent living in the industry, she emphasized the need for authorities to crack down on illegal fishing by foreigners who come from the neighboring countries to the south of Belize. 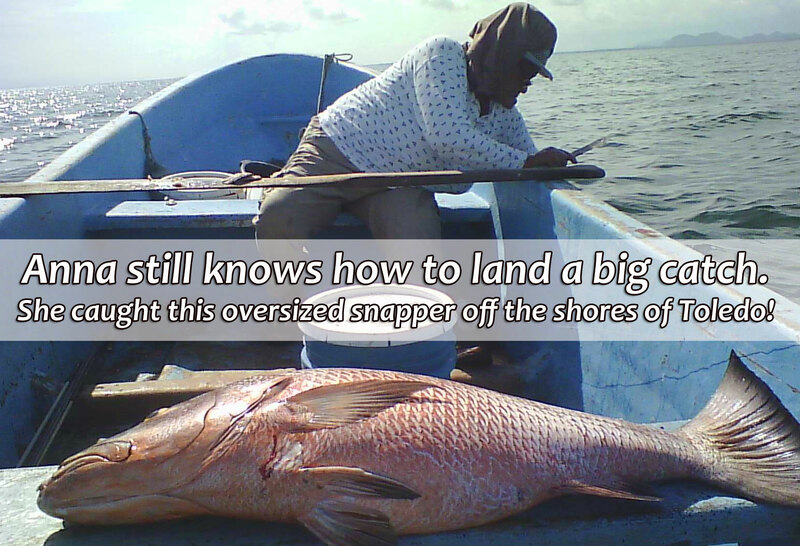 She said that this sort of illegal fishing is currently the greatest threat to the industry.